Geboren 1929 in Köln, floh Amitai Etzioni mit seinen Eltern 1936 vor den Nationalsozialisten. Er studierte in Berkeley und lehrte 20 Jahre an der Columbia University. 1980 wechselte er an die George Washington University und übernahm dort später die Leitung des Institue for Communitarian Policy Studies. Amitai Etzioni war Berater u.a. von US-Präsident Jimmy Carter und gilt als Vordenker des Kommunitarismus. Etzioni served as the president of the American Sociological Association in 1994-95, and in 1989-90 was the founding president of the international Society for the Advancement of Socio-Economics. In 1990, he founded the Communitarian Network, a not-for-profit, non-partisan organization dedicated to shoring up the moral, social and political foundations of society. He was the editor of The Responsive Community: Rights and Responsibilities, the organization’s quarterly journal, from 1991-2004. In 1991, the press began referring to Etzioni as the ‘guru’ of the communitarian movement. 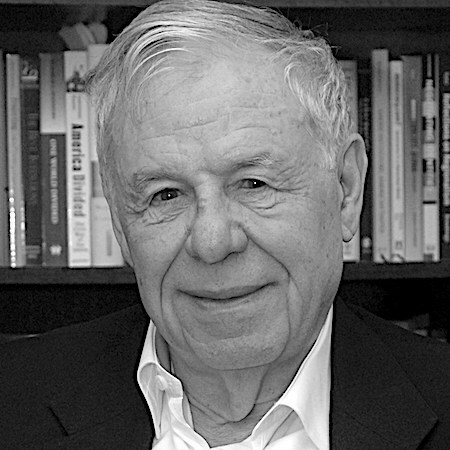 Etzioni is the author of twenty-four books, including The Monochrome Society (Princeton: Princeton University Press, 2001), The Limits of Privacy (New York: Basic Books, 1999), The New Golden Rule (New York: Basic Books, 1996), which received the Simon Wiesenthal Center’s 1997 Tolerance Book Award, The Spirit of Community (New York: Crown Books, 1993), and The Moral Dimension: Toward a New Economics (New York: Free Press, 1988). His most recent books are My Brother’s Keeper: A Memoir and a Message (Lanham, MD: Rowman & Littlefield, 2003), From Empire to Community: A New Approach to International Relations (New York: Palgrave Macmillan, 2004), and Security First: For A Muscular, Moral Foreign Policy (Yale University Press, 2007). Outside of academia, Etzioni’s voice is frequently heard in the media. In 2001, Etzioni was named among the top 100 American intellectuals as measured by academic citations in Richard Posner’s book, Public Intellectuals: A Study of Decline. Also in 2001, Etzioni was awarded the John P. McGovern Award in Behavioral Sciences as well as the Officer’s Cross of the Order of Merit of the Federal Republic of Germany. He was also the recipient of the Seventh James Wilbur Award for Extraordinary Contributions to the Appreciation and Advancement of Human Values by the Conference on Value Inquiry, as well as the Sociological Practice Association’s Outstanding Contribution Award. Aktuelle Publikation: Etzioni, A. (2018). Happiness is the Wrong Metrik. A Liberal Communitarian Response to Populism. Springer: Cham. Hier erhältlich.